The Premier Event on Food Processing & Hospitality. It is 10th Edition in Ahmedabad from 7 to 10 Jan. 2013. EEPC India is pleased to announce its 26th INDEE in Morocco from 13th to 15th December 2012. Venue: Le Salon International DE L'INDUSTRIE at Parc des expositions de l'office des changes, Route d'El Jadida, Casablanca, Morocco. 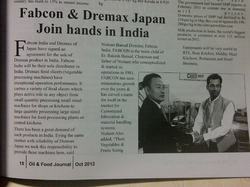 Fabcon, India is sole distributor of Dremax, Japan vegetable processing machines in Asia & Indian market. 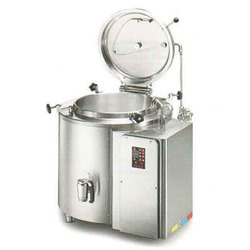 We are launching "FIREX" Kettles & Pans of Italy in Indian market at our upcoming Exhibition Foodtech 2012 in mumbai. It has wide range of Kettles & Pans for boiling, braising & frying suitable for Indian & Asian curries, mixes & gravy based dishes - veg. & meat. Its capacity is from 70-550 ltrs. The world's biggest annual food & hospitality show in Dubai from 25th Feb to 28th Feb. 2013. Venue: Stand No. S-F33, Hall: Trade Centre Arena, Dubai World Trade Centre, Dubai, UAE. Come this November 2014, witness India''s international platform for food, beverage and packaging trade where who''s who of the industry would be present. Do not miss the opportunity to Showcase products, discover the latest technical advancements and to have networking meeting. This has covered two separate but concurrent exhibitions. 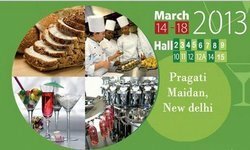 “Hospitality India” covering Hotel & Restaurant Equipment and Supplies and “Food India” covering Foods, Processed Foods, Food Processing & Beverages. The world's biggest annual food & hospitality show in Dubai from 09th Nov. to 11th Nov. 2014.